Redeye VC: Myspace - the next Prodigy? Myspace - the next Prodigy? Over the last year, there’s been a tremendous amount of focus on the “Widget economy”. Newsweek has even dubbed 2007 as the “Year of the Widget.” While the concept of a “widget” might seem trivial to many outside of Silicon Valley, the ability to automatically embed a rich flash application inside another site is very powerful. It has become a new vehicle for massively gaining viral distribution. One well-known example is Youtube, as their growth was significantly driven by Myspace -- with Myspace quickly becoming Youtube’s largest source of traffic. However, every widget company has been afraid of the uncertain rules of the road for operating on Myspace. Myspace does not have a formal developers program and has blocked several widgets before, built their own widgets to compete in certain areas, making it pretty clear that they don’t view the relationship with the widget ecosystem as symbiotic. Myspace also has a policy against commercial activity in widgets, including placing advertising in a widget – leading some to wonder whether Myspace would ultimately erect a “tollbooth” for the widget providers. This uncertain playing field provides a high degree of risk for the widget companies and their investors. In fact, I’d think it safe to say that the #1 priority of virtually every widget company has been to “diversify our traffic away from Myspace.” Rather than recognizing the symbiotic nature of their relationship with widget companies (as David Hornik wrote about a few weeks ago), Myspace’s lack of a clear “widget roadmap” created a big opportunity for their #1 competitor, Facebook. The business opportunity Facebook is providing will give 100% of advertising revenue (for third party applications) and 100% of transaction revenue to the application developers. By providing a clear roadmap – and business opportunity – for the widget makers, Facebook has just increased its virtual R&D budget by over $250 million dollars. By welcoming third-party innovation, Facebook will reap the benefit of hundreds of millions of dollars of venture investment – and the Facebook user will have a much richer experience. I'd wager that every widget maker who has previously relied on Myspace for traffic is hard at work this holiday weekend on migrating their application to support the Facebook API. Think about it. If you ran a venture-backed company and had to decide whether you wanted to focus your effort on: (a) a property that welcomed you in and let you keep 100% of the revenue you generate or (b) a company with a vague policy that doesn’t let you generate any revenue, which would you choose? I don’t think it’s even a decision. It’s an IQ test. Facebook has recognized (and embraced) something that Myspace has not – that there is more value in owning a web platform then a web property. This brings back memories from the early days of the Internet, when companies like Prodigy and AOL were the only online services in town. 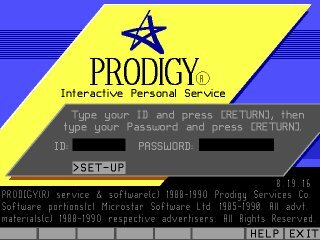 Despite the launch of the web browser (which unleashed the creation of millions of web sites), AOL and Prodigy initially focused on maintaining their proprietary online environment and controlling everything on their site. It took a few years, but ultimately they saw that it is impossible for one company -- no matter how popular and well-funded -- to compete with an unlimited army of motivated (and funded) developers. Even Microsoft recognizes that the true strength of it's Windows platform comes from the volume of third-party developers building (and profiting from selling) Windows applications.